We are glad to announce our integration with Australia's business only bank and EFTPOS provider, TYRO. Tyro’s seamless integration will allow you to make faster transactions with fewer errors and easier reconciliation. 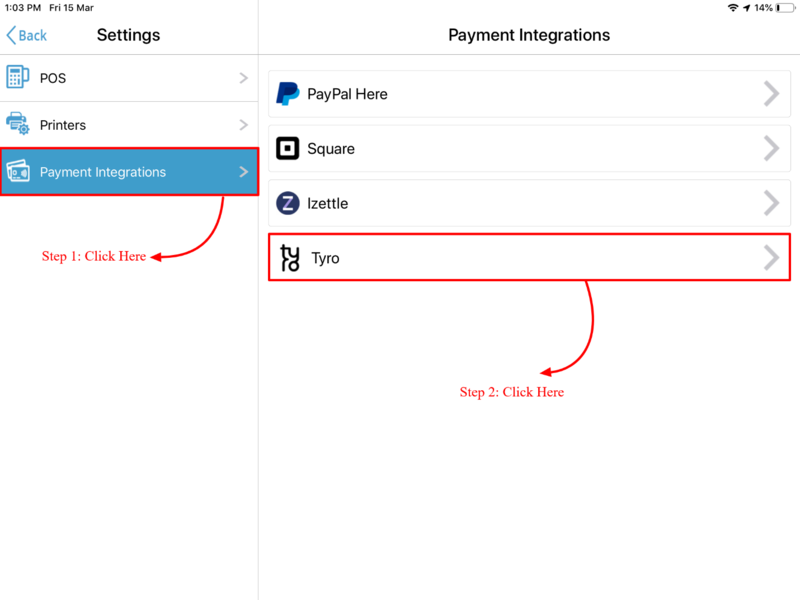 You can add the following benefits to your payment flows by setting up this integration with your Repairdesk account. Tyro offers EFTPOS terminals with EFTPOS, credit card and Tap & Go capabilities that seamlessly integrate with Repairdesk iPAD POS Register. Offer lightning-fast payments to your customers. With Repairdesk & Tyro your EFTPOS transactions are sub 1.6 seconds, even during peak trading hours. Repairdesk and Tyro offer a completely risk-free solution with simple monthly payments, no lock-in contract, and no set up, break or cancellation fees. Don't yet have a TYRO terminal? 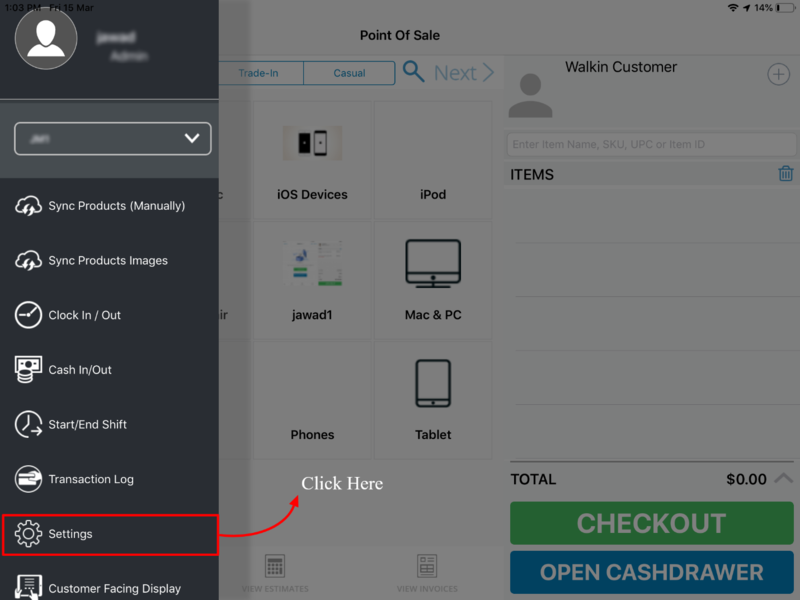 To set up this integration on IPad POS Register app, you need to follow the steps given below. 2. 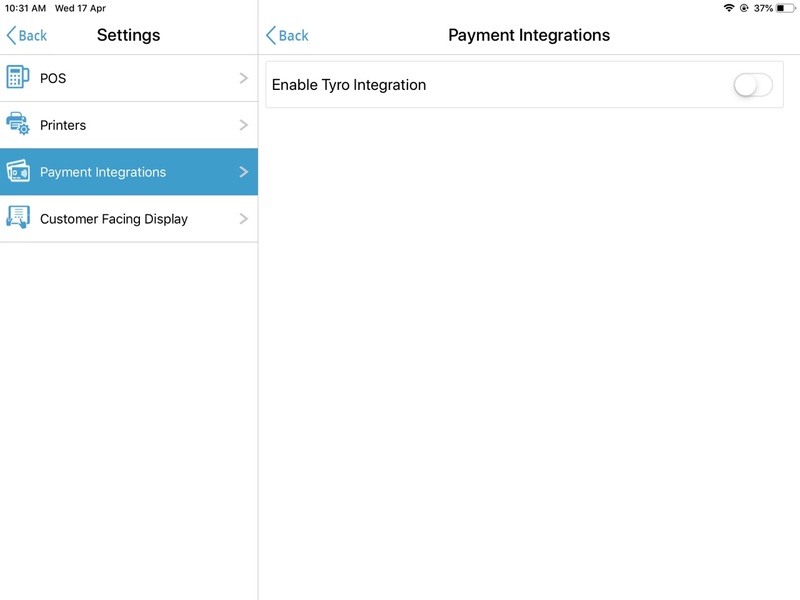 Now tap on Payment Integrations tab and then tap "Tyro"
3. You will be directed to following screen where you need to enable tyro integration and you will get the option to pair with respective Tyro terminal. 4. Once you hit Confirm against pair with terminal, it will ask you to select the terminal with which you want to pair. 5. Setup the terminal following the process as explained below. First you need to press Menu button on terminal. 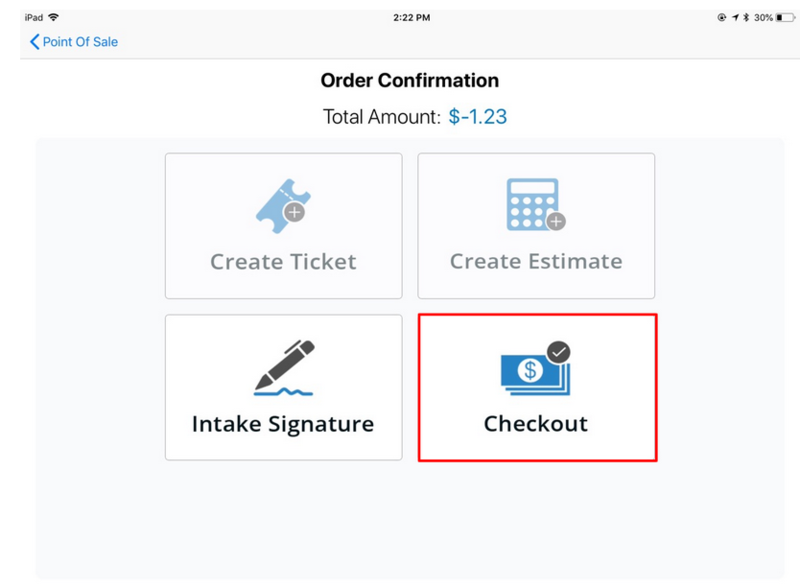 Find and select the option for Integrated EFTPOS. Enter your Admin Pin which is required only for first time when you are setting up the terminal. Select Clear Pairing and you are ready to use your Tyro Terminal. 7. It will ask you to enter merchant ID and Terminal ID with which you want to pair. 8. Once paired successfully, you will get the following pop-up indicating that pairing has been successful. 9. Create a ticket from POS following the process described in this link. While making payment, select Tyro as the payment method. 10. 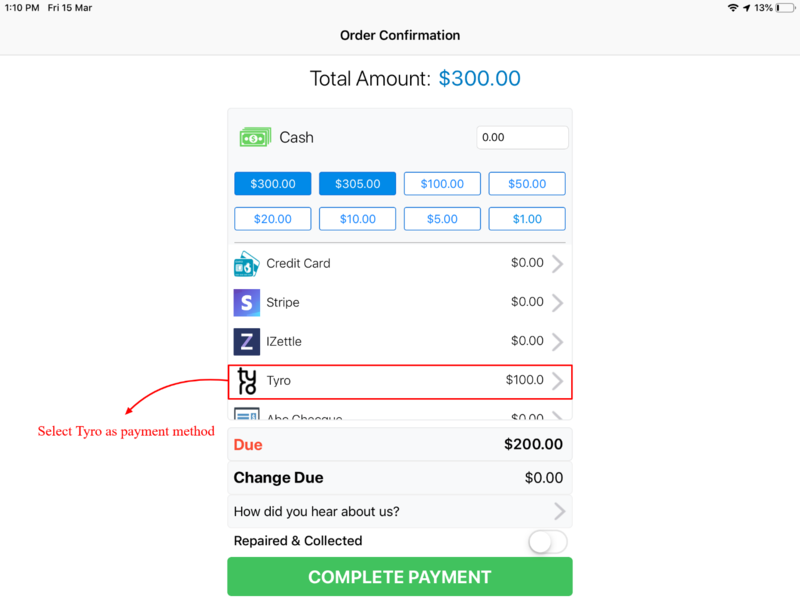 On hitting Tyro, it will ask you to enter the payment amount and hit Confirm. 11. It will process the payment and you will receive the payment successful message once the payment is approved in a few seconds. 12. Once the payment is done, it will ask you if you want to print the customer copy. 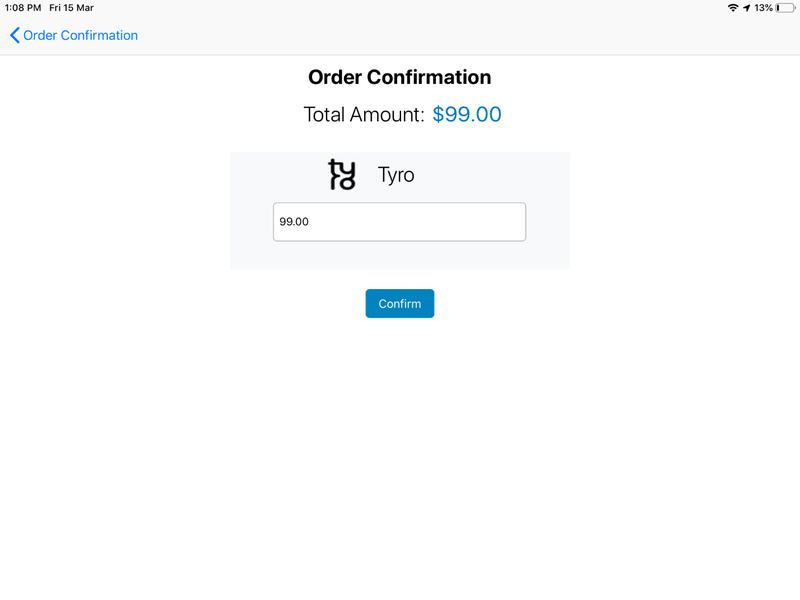 On hitting “Yes”, customer receipt will be printed from Tyro Terminal. 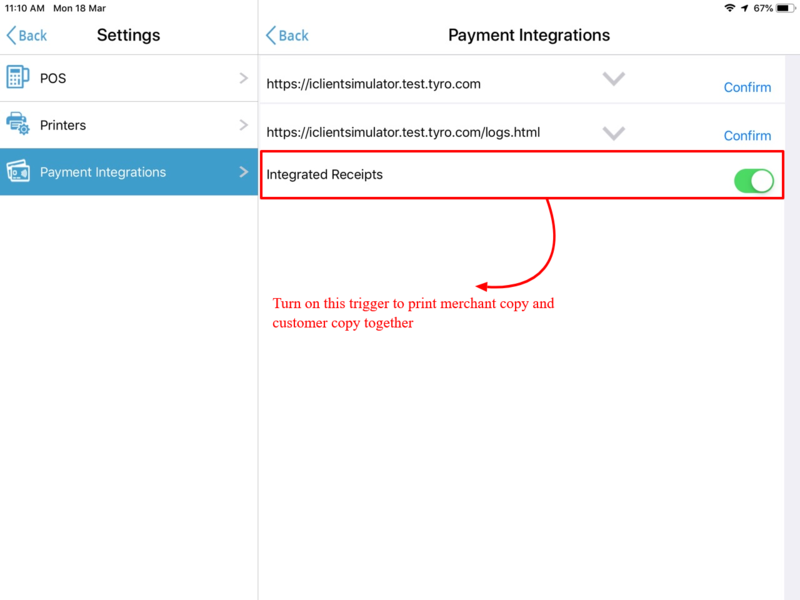 Note: If you need to print customer receipt along with merchant copy, then you need to turn on the trigger for integrated receipt from settings tab and you will get merchant copy and customer receipt printed together from TSP printer. 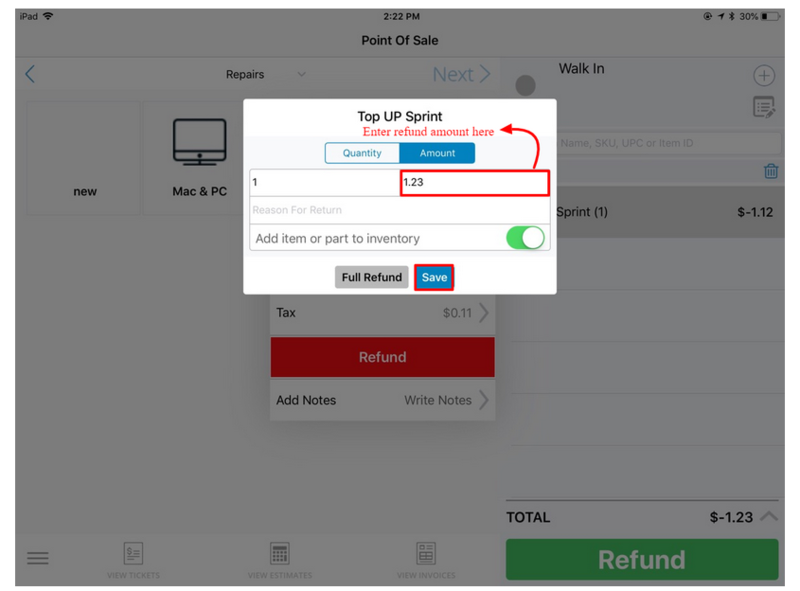 While printing, it will display merchant copy on left side of screen while customer copy on right side of screen. 13. 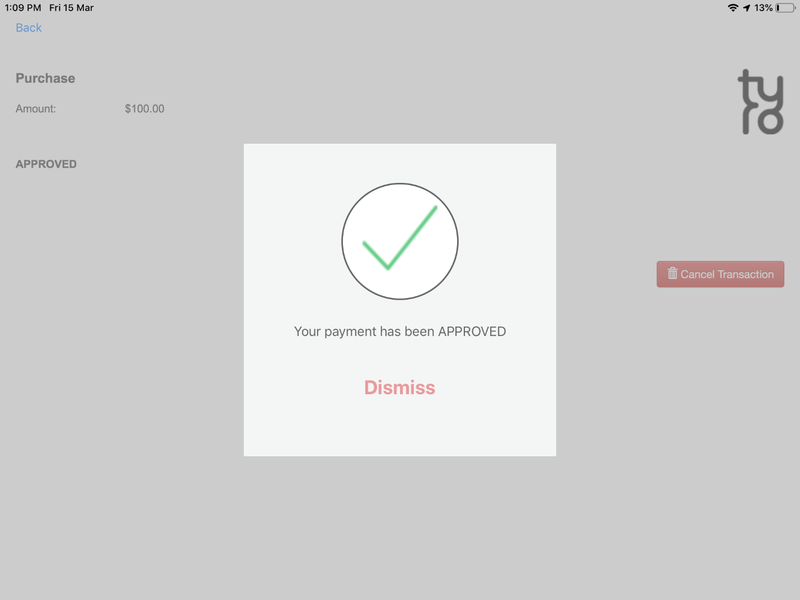 Once the payment is done, you can get back to checkout screen by hitting Back button at the top left corner of the screen. Note: Please note that you need to hit “Complete Payment” button on checkout screen in order to log the payment and maintain history against that payment. Q. Does this integration works for customers in Australia only? A. No this integration is setup for customers using Repairdesk worldwide. Q. Can we do refund through Tyro? A. Yes definitely you can offer refund against transactions made through Tyro. 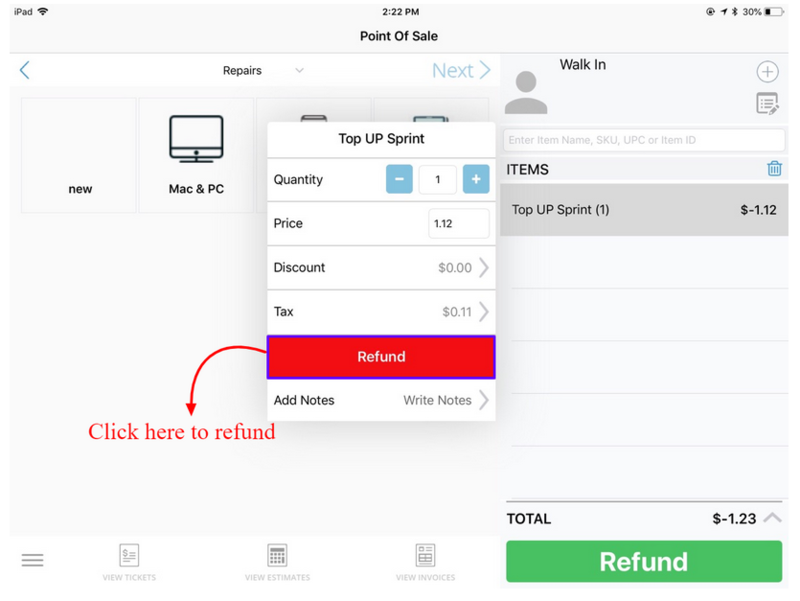 To refund an invoice, re-open an invoice on POS from View Invoice --> Swipe Left on invoice you want to refund and Hit Refund. 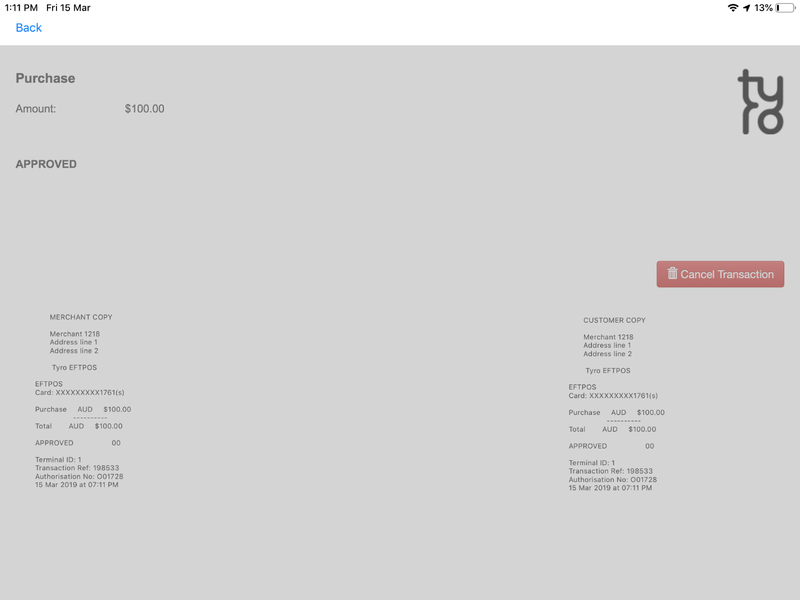 The invoice will get re-opened on POS as shown below. Hit checkout and you will be directed to payment screen where you have to select Tyro as payment method to refund the transaction. 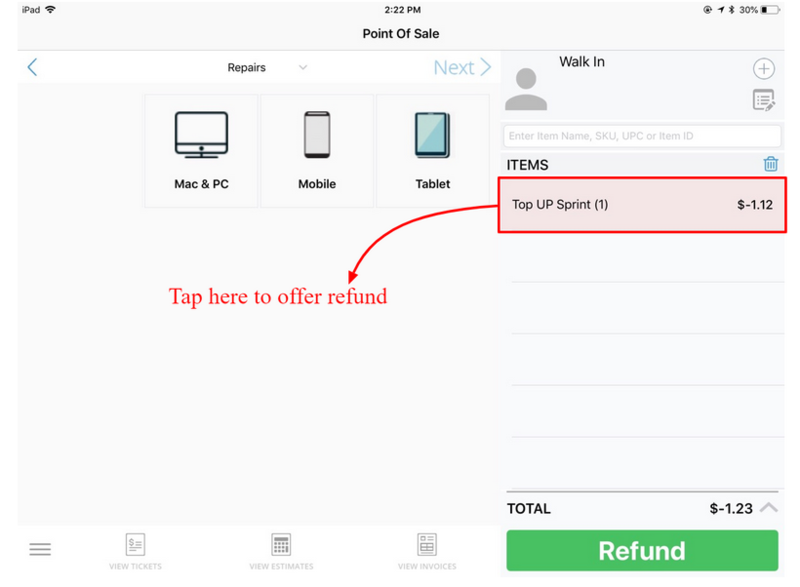 It will ask you to enter the refund amount and once you hit confirm, entered amount will be refunded through Tyro. Note: Transaction will not be recorded in Repairdesk Account until you hit OK to log the transaction. Once you hit OK, you will get the message displayed and back button will disappear from payment screen. You can offer both refund by amount and refund by quantity through Tyro. 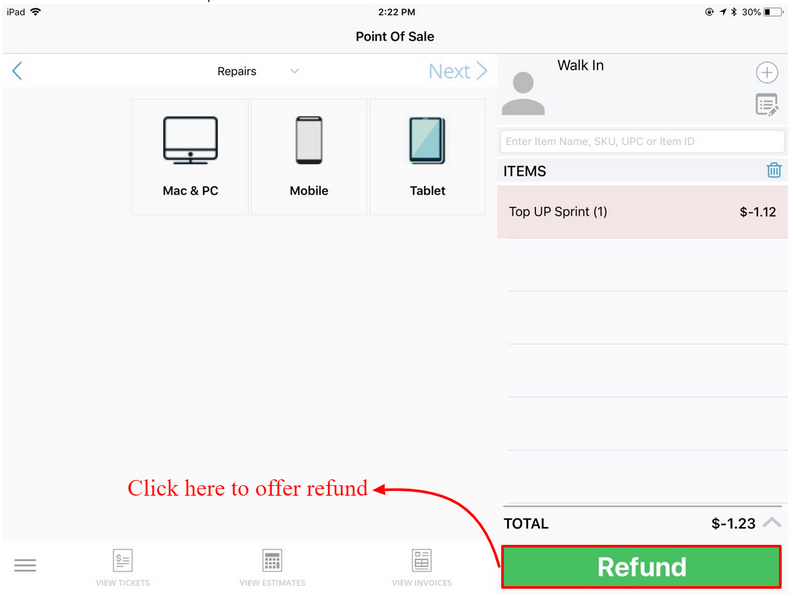 To know more about refund process through iPad POS Register app, please follow the link attached.